The feature podcast of the website FromTheDPad.com is the DPod. I cohost this wonderfully fun podcast and in Episode #21 some of my favorite guests appeared. Be sure to have a listen! Nick & Sharon join Nick & Matt to talk about the Wii U Launch, Halo 4, more ragging on Assassin’s Creed, and Gabe Newell Presents The Gabe Newell Hall of Fame. Also: Zynga stinks! Now THIS is how I like to spend a Saturday night. Got some of YOUR gameplay to share? Post the link in the comments. Bethesda’s newest Elder Scrolls could easily be named Game of The Year at the upcoming VGAs and has received perfect scored reviews all across the web. Also nominated for Studio of the Year, and Best RPG; what is all the hype about? Is it really that good? I am pleased to confirm, for our readers here at GamerfitNation, that The Elder Scrolls V: Skyrim does live up to the hype. With amazing visuals, an abundance of gameplay, and a completely immersive mythology, The Elder Scrolls V: Skyrim is every bit deserving of the zeitgeist as it has created. Skyrim is the fifth installment in the Elder Scrolls franchise and as such already had a substantial fan base. Following Oblivion, Skyrim’s 11.11.11 release by Bethesda, developers of other such notable titles as Fallout 3, Brink, and Rage, hit the market during what is arguably the busiest gaming time of the year. Competing with the likes of DarkSouls, Assasin’s Creed Revelations, Uncharted 3, The Legend of Zelda: Skyward Sword, Battlefield 3,Modern Warefare 3, Rayman Origins, and Saint’s Row The Third, it’s amazing to fathom that Skyrim still set a record with over 280,000 concurrent players, far outdistancing all other titles. The largest question for me was: Is Skyrim enough to appeal to the player not at all familiar with the Elder Scroll franchise? Because most games on the market create multiple iterations it can create a bit of hesitation to jump into one on the third, fourth, or fifth installment of a long running and popular franchise. Like jumping into the middle of a really good novel, gamers can often skip perfectly wonderful titles for fear of the unknown backstory that the franchise had already built. The Elder Scrolls V: Skyrim is no game to miss just because it is the fifth title in the series. A large mythology surrounding Skyrim, the places and characters within it, are all explained throughout the game through various interactions with people, and objects such as books. While fans of the franchise will appreciate the subtleties of return characters, and the way Bethesda builds upon previous experiences, new players will appreciate the ease with which the Elder Scrolls world is introduced. Because of the vastness of Skyrim, the complete emersion of experience, and the richness of those experiences, I cannot for a moment pretend that, despite the hitches I encountered on the PC version of the game, I will not rave about The Elder Scrolls V: Skyrim. The game is full, engaging, amazing, and worth every penny. After playing 21 hours of Skyrim over the past 6 days for the purposes of this review, I will undoubtedly jump right back into the game after writing this and make an attempt to catch up to the nearly 50+ hours that most of my friends have already put into it. With only 20+ hours into Skyrim at this point (and 4 of 50 achievements) that is a cost value of $3 per hour of entertainment. If, as I suspect, I hit the 50hour mark with this title, that entertainment cost drops to $1.20 per hour of entertainment. This entertainment cost assessment is a common way for me to evaluate the value of an experience and when examined makes it hard to deny the worth of this title. This is no 8 hour campaign with perhaps some multiplayer for good measure, this is game that will earn its place on your shelf. Skyrim offers you an open world that can be explored as one of the multiple character races who will propel you through the main quest line or experience a variety of side quests. You will have multiple quests simultaneously and can choose which to pursue at any time. The map is large and the terrain varies. As you explore the map and discover new places you will be able to travel by foot, by horse, or by fast tracking between previously discovered points. Once you have discovered most places they will appear on your map so that you may find them again at a later time. The main quest line will take you through the major cities where there are a myriad of NPCs ready to lead you in the right direction and an equal number ready to lead you astray. During your travels you will have the opportunity to join guilds and work through their quest lines, taking you to all corners of the world. Very quickly you will learn that the story of Skyrim is one that you were always meant to be a part of. As the unfathomed return of dragons plague Skyrim, your appearance, as the only recent dragonborn, means that you are the pivotal key in the destruction of these beautiful but deadly creatures who are ravishing the world of Skyrim. Along the journey you will encounter conflicts between the people of the land and be able to play a part in their stories as well. In order to progress through the story you will need to learn, build, and fight to increase your sustainability. You will work to increase your health, magic, and stamina all while building skills in weaponry, alchemy, sneaking and lock picking, one and two handed combat, archery, among so much more. The skill trees develop as you level up and the more you explore the more you are able to build and continue to level up. Each time you play this game your experiences will be affected by the areas you choose to develop creating a phenomenal potential for replay value. So now that I have you eager to try this game for yourself I’d also like to talk to you a little about maximizing your Skyrim experience. I am running Skyrim on the minimum system requirements for PC and it shows. The game is slow, the graphics are at the lowest setting, and load times are lengthy. If you are not running a top of the line machine I strongly suggest picking up a console version of the game. After playing on PC for so long, I jumped over to the 360 version of the game (the platform my BF is currently playing Skyrim on) and the graphical differences are mind blowing. That is not to say that you shouldn’t play this game on PC, you should, but in order to get the most of this wonderfully rich, vivid, and beautiful environment offered in The Elder Scrolls V: Skyrim, consider what your PC is capable of and make the best decision for your gameplay. The interface on the PC is not the most mouse friendly. As an artist I use a tablet on my PC. The Intuos 4 allows me to jump from pen to mouse with ease and let me switch back from gaming to drawing with ease. Don’t do this. I made a switch to a regular usb mouse about 2 hours into my experience and the responsiveness improved greatly, yet the interface was still troublesome. Using the WASD to navigate through your quests, skills, maps, and magic, is fine but the movements and fluidity of the game is still hindered with the mouse. After a number of hours with this I then began playing with a 360 style 3rd party gamepad and it was a game changing experience. If you don’t have a gamepad for your PC, consider one for this game, or consider how intuitive you are with the mouse. It’s a little different than your regular FPS, and the gamepad will save you tons of frustration. Save often. The game’s autosave feature is fine and does a decent job but there is nothing more frustrating than clearing half of a particularly challenging cave only to meet your death and have to restart. Use the save feature and save often, over and over again. IGN has reported that Bethesda’s new patch will be coming after Thanksgiving to address issues with the game that have been reported across all systems (specifically a texture glitch that many of my gamelist has encountered). I have not encountered this problem but have encountered some bugs, such as getting stuck in the environment’s rockface, that in no way take away from the game’s experience. For all that it is, for all that it still will be, and even given the time of year that it was released, The Elder Scrolls V: Skyrim is an easy contender for the VGA’s Game of the Year and certainly has quickly become one of my favorite Bethesda games. Because of the sheer magnitude of the game, the inspiring graphics, the phenomenal sound, score, diversity of the game, and the engaging mythology, The Elder Scrolls: Skyrim gets a 9.5 out of 10 (rounded to a 9 for the slight difficulty in the PC user interface without a gamepad) and has easily made my favorite pick for Game of the Year: 2011. Various Screen Shots from The Elder Scrolls: Skyrim at minimum PC settings. The Sims Social: Play or Pass? I was twenty one years old when my then boyfriend decided to relent to my known love of “computer games”. With a trip to the big box electronic store. I am sure the conversation, and quest for a gift, went a little something like it might have for any young man at the time. Clerk: Is there something I can help you with sir? Boy: Uhhhh yah, I’m looking to buy a game for my girlfriend. Clerk: Oh? Alright, what does she like to play? Clerk: Any idea of what she is currently playing? Clerk: Well then, try this *passes copy of The Sims* It’s very popular with the ladies. What a sweet gesture, a ‘girl game’. Now don’t get me wrong, I played The Sims, I played the heck out of The Sims and, for a short time, so did he. I LOVE The Sims but this opened up a continued ‘default gift’ as each new expansion and upgrade pack became available. By about the end of The Sims 2 I had quickly moved on from the franchise and appreciatively discouraged the continued gifting of expansion packs and related materials and not because it wasn’t still great. I just needed a break. For other ‘ladies’ this trend continued and The Sims turned into a HUGE franchise across multiple platforms, countless expansion packs and stuff packs, and has not only gone mobile but can now be found on the facebook platform. Is it bad that The Sims has been dubbed a girl game? No. There are a lot of aspects of the game that appeal to females on a very instinctual level, which I am sure is part of the reason it has remained so popular. The facebook version, The Sims Social, is a stripped down version of The Sims; one that will steal your time, annoy your friends, and not do justice to ‘The Real McCoy’. So ladies why do we love The Sims? I’d like to argue that women are naturally wired to get great joy from ‘nesting’, which is something that The Simsgames not only encourage but require. Creating your home, decorating, acquiring and moving furnishing to create a living space, are all comfort tasks for many women. Relationships are just another aspect of real life situations that women take care of, analyze, and focus on. It is then only fitting that in this simulation title we can monitor our relationships with our neighbors, friends, and romances, and we also are rewarded for developing the most fulfilling relationships. More of an independent gal? Get a job! The Sims allows you a number of career choices to build upon, just as in life, and you have the opportunity to work your way to the top. So if we love simulating all of the aspects of our real lives why do we want to create it in-game? Well, for the same reasons we play any game; to follow a story to its conclusion, to execute moves bases on hypothesis and analyze the outcomes, or to escape with friends into a world of make believe (even if it is one that we created). And because it’s fun! But there’s where The Sims Social falls short. In The Sims Social you begin with a small house that is furnished with the very basics needed to get you going. You have been given some simoleons, some energy points, social points, and one neighbor. Your quests require you to begin by gaining possessions and experience which is not completely unlike the full version of the game. Building in The Sims Social, however, is a very basic version compared to that of the more fleshed out interface in the full game. Cut and paste your rooms together and be dang sure you have some neighbors to help you with the labor. In fact just be sure you have as many neighbors as you can to start with anyway because it won’t take long before any and every possible interaction requires help from a friend. “But Sharon’” you might be thinking “it’s The Sims SOCAIL, it’s supposed to encourage interaction with your friends!” and you’d be right. This game is meant to be played with friends but not in the way you might hope. Playing with friends in The Sims Social is painfully similar to playing with friends in other facebook platforms games. If you’ve played Farmville, CivWorld, City of Wonder, or any other social platform game then you are familiar with the formula. A formula I supose I was hoping The Sims Social wouldn’t be married to. The formula includes a limited amount of ‘game play’ that you can achieve before you must spam your feed, message your friends, request items or gifts, or recruit more players in order to gain a tiny bit more game play. Then of course the game will reset your allowances over a time period to keep you coming back day after day so that you may progress just a teensy bit more with each visit. This is a really neat feature especially when a friend is online at the same time as you. You cannot interact directly, but it at least feigns a sense of multiplayer. If you catch yourself (or a loved one) pouring in hour after hour into The Sims Social over facebook: Stop! Go buyThe Sims 3. Your sim experience will be much more rewarding, much more in depth, and customizable. It is worth every penny! If you’ve got some time to kill while sitting in your cubicle at 4:45 waiting for the day to end, sure, hop into The Sims Social for a small whiff of what The Sims is really about. I know many of you have been enjoying hit TV series Game of Thrones on HBO lately. Don’t try to deny it, I’ve seen your twitter feed, facebook feed, and G+ feed. This adaptation of the medieval fantasy novel series has been a huge success gaining more and more followers all the time. Today some great news came from Atlus (celebrated makers of Demon Souls, Shin Megami Tensei, and Persona), about a new Game of Thrones Action RPG . And you won’t have to wait long to play it! Check out all the delicious verbatim details below! NOVEMBER 9, 2011 – ATLUS (Index Digital Media, Inc), in collaboration with HBO and Cyanide Studios, today unveiled North American publishing plans for “Game of Thrones™,” an action RPG based on the internationally bestselling A Song of Ice and Fire series of books by George R. R. Martin and critically acclaimed HBO television series, Game of Thrones. Launching worldwide in early 2012, the game will be available for Xbox 360® video game and entertainment system from Microsoft, PlayStation®3 computer entertainment system, and PC. With an original story written under the supervision of Martin, “Game of Thrones” promises to deliver the ultimate interactive role-playing experience for fans. The game is filled with familiar locations straight from the pages of the beloved fantasy saga along with the likeness of some actors portrayed in the series. 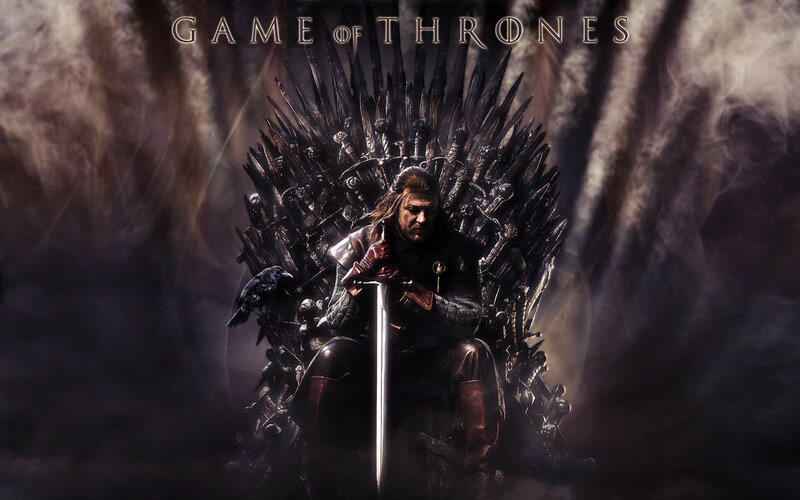 With over 15 million books sold worldwide and a hit television adaptation that was the winner of two primetime Emmy® awards, the A Song of Ice and Fire series is one of the most popular fantasy franchises of all time. Now, with the announcement of an epic new “Game of Thrones” video game, fans will have a chance to not simply read or watch the series, but to take an active role in the new riveting drama as it unfolds. In this 30-plus hour action RPG, players will enter the gritty and medieval fantasy world of Westeros. As one of two original characters with disparate motivations, both former soldiers of Robert’s Rebellion, players will forge alliances and wage battles as they play a pivotal role in the ongoing war for power of the Seven Kingdoms. Their journey will span numerous quests, during which they will interact with many characters and make key decisions that impact the realm. Standing before the majesty and bitter isolation of the Wall or walking through the streets and alleys of King’s Landing, players will not simply pass by locations and characters integral to the series; they will explore and interact with them, meeting and learning about the people and history that defines them and their importance. Key decisions and major events will have meaningful impact on Westeros, allowing the player to witness how the game world evolves over time based on their actions or inactions. Moreover, “Game of Thrones” introduces an innovative “active slowdown tactical combat engine” in which combat mirrors the series’ thoughtful approach to war and politics: fighting slows but never stops entirely, forcing the player to make quick, pressured choices before their enemy strikes again. “The Game of Thrones television series and the A Song of Ice and Fire book series it is based on represent some of the most captivating, original medieval fantasy and drama ever created,” commented Shinichi Suzuki, President and CEO of Index Digital Media, Inc.
“Game of Thrones” is currently scheduled to release in early 2012 for PlayStation 3, Xbox 360, and PC. 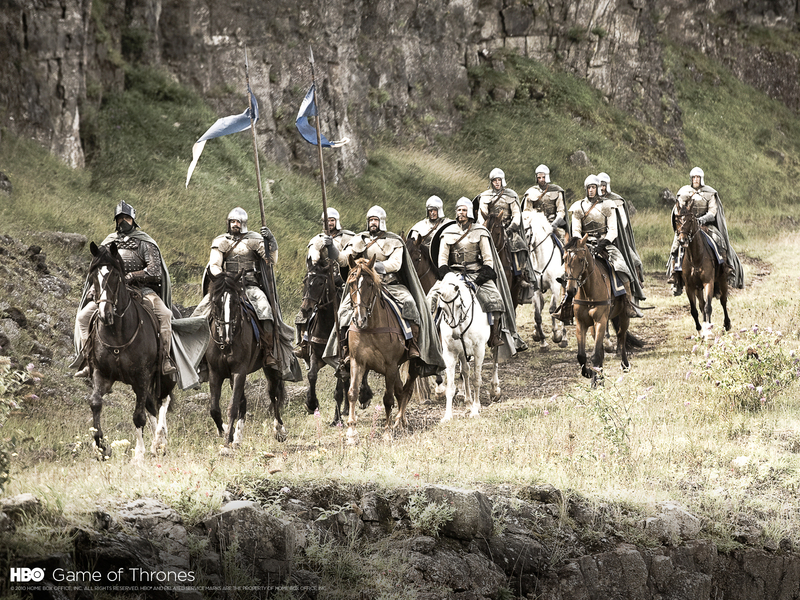 For more information, visithttp://gameofthrones-thegame.com. Expect frequent news updates, content additions, and more between now and the game’s release! Recently we lost our very own @nicfurlong to the thrills of stardom with Rocksmith by Ubisoft. Before Nic began his hands on experience with the game, and during his demo time, we had the chance to talk to Nick from UbiSoft about the title and some of the hard work that went into the game. After 4 years of development you can bet he was thrilled to be showing it off on the floor. While we may have only recorded a small bit of our conversation Nick talked to us more about the game and how great it will be for learners. Can I use any guitar with Rocksmith? Nope. All you need is a TV, a guitar, and our game. With Rocksmith, your TV or home theatre system becomes your amplifier. You plug your guitar directly into the console, and play. It’s that easy. I’ve never played guitar, and it seems difficult and intimidating. How do you expect me to play this game with no prior guitar knowledge? 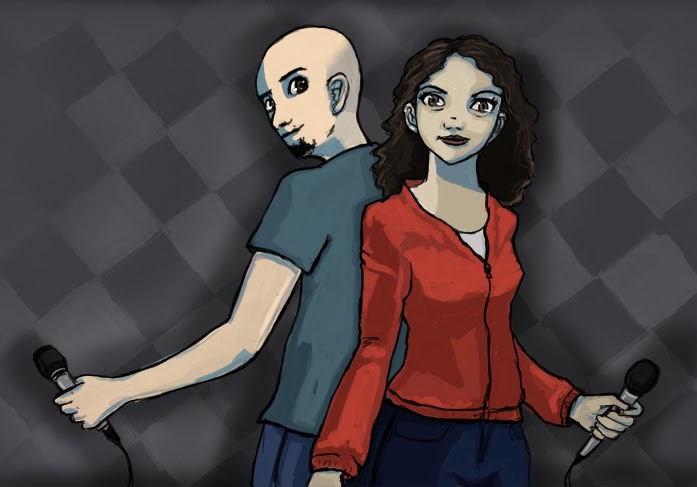 Unlike other music games with only 4 difficulty modes, our game adapts to your personal skill level in real time, making it possible for you to play and have fun. If you’re a beginning guitar player, the game will treat you as such, and constantly challenge you to improve without overwhelming you. I’m an experienced guitar player, and am not interested in a game for beginners. Why should I own this game? If you’re an experienced guitar player, it will recognize this, and feed you the amount of notes that you’re able to play. If that’s 100% of what the actual guitar is playing in the recorded song, then good for you. You’ve just learned a new song while playing a video game. Plus, what other video game out there allows you to plug in your own guitar? None! This is a one-of-a-kind experience that you are guaranteed to enjoy. There are loads of effects pedals built into the game, and they are all the real deal. You’ll get to tweak your sounds, and string them together with nearly infinite combinations until you’re satisfied. Whether it’s a crunchy distortion, a vintage tremolo, or a psychedelic reverb, we have the gamut covered to make sure you can achieve the sound you’re looking for. What is this I’m hearing about mini-games? Rocksmith will include a unique quarter-inch to USB cable that is the first of its kind, and will allow users to plug any real guitar with a quarter-inch jack directly into their Xbox 360, PlayStation 3, or PC. Developed exclusively for Rocksmith, this revolutionary 11.25′ cable turns the guitar’s signal from analog to digital, allowing it to be recognized and played through video game consoles or PC for the first time. If you experience any noticeable latency with Rocksmith, then it’s more than likely due to the specific setup you’re using. Since everyone has a unique arrangement with their home entertainment systems, we’ve outlined steps you can take to avoid this issue (you can troubleshoot through the steps by visiting the Official Site of Rocksmith). Right now the track list for Rocksmith is impressive as it is and I can’t wait to see what will be added with the DLC. Because the game adapts to your specific skill level this is a great way to learn and rock at your own pace. I’m told that the hope is that this game will help push learner over “the hurdle” that is so easy to get caught in. And Nick’s right! i too am a victim of guitar learning discouragement. And while my learning has been basically on the acoustic, learning to Rocksmith is about to increase my cool quotient. But don’t get me wrong this game isn’t just for beginners. Have a look at this video about Rocksmith’s Dynamic Difficulty. During the game I also noticed an enthusiastic in game crowd of people cheering on fellow GFN contributor Nic, so I asked Nick (of Ubisoft) about them. It turns out that the crowd cheering you on is in response to your skill level. The better you get, the larger the venue and therefore a larger crowd! Cool huh?! Rocksmith released earlier this week (and is available for PS3, 360, and PC) and we couldn’t be more excited for the development team at UbiSoft. We want to say a HUGE GamerFitNation Thank You to Nick for taking the time to talk with us at this recent event.